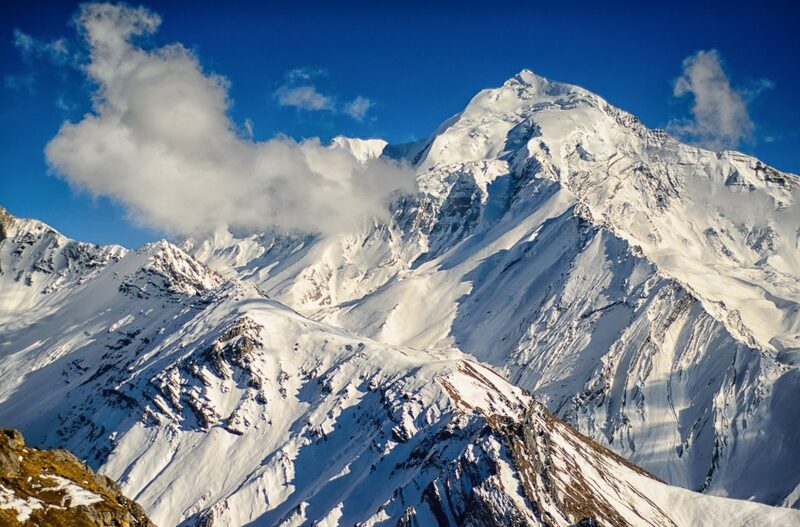 High in Kyrgyzstan’s Tian Shan Mountains, the twin effects of climate change and gold mining have combined to pose a potential environmental and human health disaster. A melting glacier is feeding a rapidly expanding lake, which experts fear could burst its banks and overrun a mine tailings pond, releasing toxic waste into the region’s water system, reports Gulf Times. World delegates in Paris are thrashing out details of a deal to cut emissions to mitigate global warming, which has caused glaciers throughout the world to melt for the past 50 years. Melting icecaps in the poles are causing sea levels to rise, and retreating glaciers in other regions are causing localised flooding in areas along glacier-fed rivers. A Glacial Lake Outburst Flood can bring more immediate and extreme risks. That’s when rising water in a lake fed by glacial melt breaks through the natural moraine dam, which is made of soil, rock and ice. The frequency of GLOFs has been increasing over the past half century in the Himalayan region, causing the loss of lives and infrastructure. Due to mining, the prospect of a GLOF at Kyrgyzstan’s Petrov Lake is graver still. Canada’s Centerra Gold runs the biggest open pit gold mine in Central Asia. Centerra does not mine in the Petrov glacier, but it operates on at least two other nearby glaciers at 4,000 m above sea level. The mine’s tailings pond sits 5 km below Petrov Lake, which has been expanding rapidly. A GLOF would wipe out at least part of the tailings pond, spilling cyanide and other chemicals into the Kumtor River, which flows into a water system that millions of people depend on for irrigation, fishing and household use. William Colgan, a researcher at Toronto’s York University, said Petrov Lake had doubled in size since 1977. As it continues to grow, the moraine dam is coming under increasing water pressure, while melting permafrost within the dam is simultaneously reducing its strength. “As a tailings pond is located immediately downstream from Petrov Lake, ensuring real-time monitoring… of its stability would be prudent, as would be developing a contingency plan in the event of a partial or full outburst,” Colgan said. Kyrgyzaltyn, the state company that owns 33% of Centerra, commissioned a British environmental and engineering consulting firm, AMEC Earth and Environmental UK Ltd, to assess the risk and make recommendations. In its 2013 audit, AMEC recommended that Centerra hire an engineering company to suggest and implement options to lower the water level of the glacial lake. Centerra said it is taking measures to lower the water level and make sure the lake’s moraine dam does not burst. “Kumtor is lowering the lake level by pumping and is continually monitoring both the lake level and the state of the natural moraine dam,” John Pearson, vice president for investor relations, said. However, Kumtor has been pumping water from the lake for years to use in its ore processing operation, but AMEC did not find that to be an adequate measure to mitigate the risk. “AMEC recommends continuing the search for an experienced engineering firm to prepare the design to lower the level of Lake Petrov,” it said in its 2014 report. Experts say mining activities including Centerra’s practice of dumping waste rock on two other glaciers is causing them to melt at an accelerated rate. The company says it has stopped such dumping, and denies that it contributed to the melting glaciers. “Kumtor’s impacts on glaciers is immaterial when compared to climate change impacts in the region and across the country,” Centerra said in a 2013 statement. He said that other mining operations affecting glaciers to a lesser extent than Kumtor have been met with opposition. “The best example is Pascua-Lama mine on the Chilean-Argentinian border which has been suspended due to protests against the removal of much smaller glaciers,” Kronenberg said. Dumping waste rock has also contaminated water sources and will continue to do so even after the mine shuts down, according to Robert Moran, an expert on water quality issues who has studied the Kumtor mine. The pollution is due to a process known as acid rock drainage, which means waste rocks react to air and water to produce sulphuric acid. Pearson, of Centerra, denied that acid rock drainage is a problem. Moran said he was not reassured by Centerra’s statements. The Central and Eastern Europe Bankwatch Network has been monitoring the Kumtor mine because it receives support from the European Bank for Reconstruction and Development. Bankwatch’s Central Asia officer Vladlena Martsynkevych noted that Kyrgyzstan’s latest submission to the UN Framework Convention on Climate Change estimated that the country would lose 94% of its glaciers by the end of the century.